The Black Box is a system designed to control the use of vehicles and record operating data and anomalies. 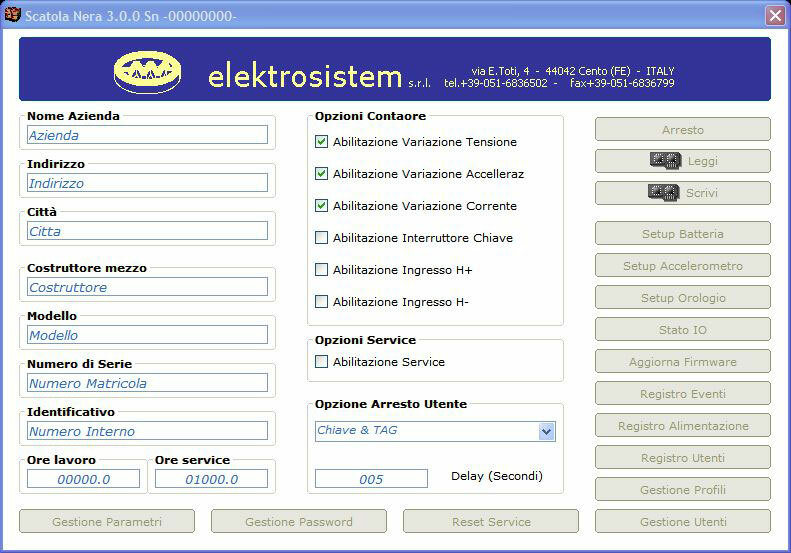 The operator can save all parameters to obtain a customized setting of the Black Box according to the specific requirements of the application. The Black Box system also offers options to guarantee high safety conditions for the user, including the vehicle lockout in case of impact when the pre-set values are exceeded, the main contactor opening in case of anomalous current draw, or the contact opening when the pre-set value for inclination is exceeded. In conditions like those just described the system also warns the operator with acoustic or visual signals through the display. The data stored can be downloaded in Excel format connecting a PC to the display, in order to make the error analysis for the maintenance manager and the vehicle fleet controller simple and accurate. 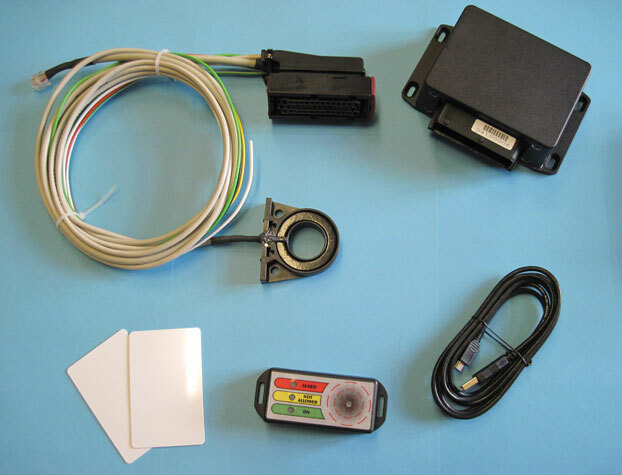 When the Black Box is fitted on a vehicle it is possible to allow operation only to the user having the pre- stored RFID transponder thanks to the display reading function and in addition it is possible to identify the user and to check how the vehicle has been used. The system can handle the access of a large number of users through a password associated to each user profile in order to prevent the access to non authorized operators.